Is the Anglican church protestant or catholic? Or both? Is it open to change or controlled by tradition? An episode from last century illustrates these familiar tensions. The Melanesian Mission was founded by our pioneer bishop George Augustus Selwyn. Its first bishop was John Coleridge Patteson, killed in Melanesia in 1871. By 1895 most of its clergy and teachers were indigenous to the islands of Melanesia; an expatriate bishop and maybe a dozen white clergy and teachers trained and supported them. In New Zealand, the Melanesian Mission (based in Auckland) publicised the needs of the missionary diocese, and raised money to support its work. As the London-based Church Missionary Society (CMS) withdrew from direct involvement in this country, a New Zealand Church Missionary Society (known as the Church Missionary Association until 1917) was formed in 1892, based in Nelson. On its board were all the bishops apart from Samuel Nevill of Dunedin, a range of clergy and of laity well known from their membership of general synod. Dominant among the supporting clergy was Archdeacon Samuel Williams (1822-1907), a determined Evangelical, a leading member of the original CMS missionary family. He owned (in 1881) land worth £96 033. He stands out as the most generous contributor to the work of the Melanesian Mission. He gave £100 a year to general costs, and on the appointment of the third bishop Cecil Wilson in 1894, he added another £500 for each of the first three years of that episcopate. He gave £500 for a boys’ residence at the Mission training centre on Norfolk island, £100 for a new kitchen at the Mission headquarters, he covered the costs of a new mission house for the women missionaries. He made a donation of £1 000 towards the cost of the new ship Southern Cross (which carried the mission staff around the islands), and then later met the full cost of the conversion of the Southern Cross from a sailing ship to a steamer. From the arrival in Melanesia in 1896 of his nephew the Revd Percy Temple Williams, he covered the costs for maintaining the new mission station at Maravovo on Guadalcanal, further north in the Solomon islands. Dominant among the supporting laity was Charles Hunter Brown of Nelson and his family. With ties of marriage and friendship to the early missionaries (Abraham, Codrington, Selwyn father and son, Patteson) he had visited Melanesia twice. His journal records his admiration and criticisms, but mostly his support for the Melanesian mission. At its formation in 1892, the NZ CMA decided to sustain the wide vision of Selwyn to carry the gospel to the islands of Melanesia as well as to Maori here. They decided to step aside from mission fields already covered by CMS in Japan, India, and Africa, and serve closer to home. As a firm expression of this commitment, the CMA agreed to sponsor a missionary in the diocese of Melanesia. The bishop would recruit, and then present the person to the board for sponsorship. From the first in 1895 until the return home of the last in 1919 about a dozen were thus supported. In the 1890s, the missionary leadership of Melanesia was considered by contemporaries to be strong on ‘Church Principles’ – inclusive of old-style high church people, as well as those directly influenced by the Catholic revival of the 1840s. Yet the archdeacon, John Palmer was a true Evangelical and so were others. While the Melanesian mission in that period did represent the pluralism of the Anglican tradition, our modern eyes would think its worship to be generally low church. For instance the third bishop Cecil Wilson surprised Archdeacon Palmer by introducing coloured stoles at the eucharist – he had not seen such before. In 1894 the first CMA-sponsored missionary was the Revd Walter Ivens. He at this time may have been an Evangelical but more obvious was his increasing and able commitment to ethnographical studies – he bored missionary-minded audiences with these enthusiasms. His wife, sharing the CMA sponsorship, was AngloCatholic, and later as an academic and priest in Australia, Ivens was attached to the leading AngloCatholic church in Melbourne, S Peter Eastern Hill. He was brother to Sister Kate of the Community of the Sacred Name in Christchurch. From 1895 she joined Mrs Elizabeth Colenso (formerly of CMS) and taught Melanesian students on Norfolk island; she later in Christchurch trained a Maori and two pakeha for missionary work in Melanesia. The CMA next sponsored Charles Elliot Fox, the legendary missionary in Melanesia. He was recruited with Charles Godden, formed in Evangelical churches in Australia. Godden died a martyr’s death, but his diaries and his family insist that he was not an Evangelical himself, but increasingly Catholic, or (to judge from his poetry) a sentimental liberal. After the murder of Godden, in 1903 a layman George Henry Andrews was sponsored. Godden’s friend from Evangelical circles in Australia, the Revd Charles Stanley Allan Howard took his place, and was joined by John C Palmer a layman, son of the old Evangelical archdeacon. Other sponsored missionaries included a layman, Brother Edmond Bourne, and the Revd Arthur I Hopkins. Like the two Australians, and the Englishman Andrews, these two appear to have been recruited outside New Zealand. The New Zealand church was constantly criticised for not providing more candidates for Melanesia – but the sponsorships did continue just the same for these people whom the bishop of Melanesia presented to the CMA. The final and the most controversial CMA candidate was Frederick Alfred Crawshaw. From 1908 he was on Norfolk island; his reports home show he enjoyed all the services, particularly the liturgical singing and he trained the choirs. In 1913 he left to be ordained to a curacy in New Plymouth; he met and married his wife. They returned for one year in Melanesia, again with CMA, but things went very bad very fast. 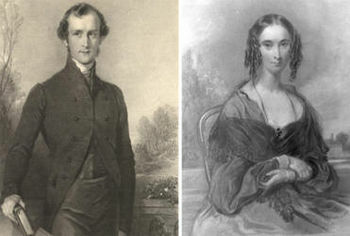 The couple were extremely critical of the high church elements in Melanesia. As this had not been an issue for Crawshaw in the previous decade, what had changed? His wife Maude Compere Dowling was from a Presbyterian family, I wonder if that was a pressure point. What was changing in the New Zealand Anglican church? In 1910 the Mission of Hope had brought a dozen missioners from England to brighten up the Anglican church throughout the dominion. Some were Evangelicals, most were middle of the road, but several missioners were markedly AngloCatholic, of a style not known before. While these men broadened understanding of the Anglican church, and were an eye-opener and liberating for many, the exposure triggered in others their traditional suspicions of the Spanish Armada, Guy Fawkes, the Pope and High Anglicans out to undermine all that is British and Protestant. The Protestant Political League and William Massey PM played on these suspicions during World War 1. A leading minister (and the historian) of the Presbyterian church in New Zealand, the Revd John Dickson published popular books to warn the nation. A Protestant Catechism on Ritualism and Romanism: a revived Heathenism (1913: Wellington), and Shall Ritualism and Romanism Capture New Zealand? Their Ramifications in Protestant Churches (1912: Dunedin) make wondrously lurid reading now, with cartoons of spiders wearing birettas out to net good New Zealand Protestants. These books named and shamed the leading AngloCatholics and sympathisers like Bishop Julius, and included photographs of their churches, like S Augustine Petone, and Christ Church Whanganui. Dickson was almost speechless with horror at what was happening at Christchurch S Michael. In 1918 and in 1919 Charles Gosset the archdeacon of Christchurch took Charles Perry (Fr Burton’s successor as vicar of S Michael’s) to court for ceremonial and ritual abuses. Too many candles, a crucifix, public genuflection, reservation of the Blessed Sacrament. When the court ruled for Anglican pluralism and the vicar, Gosset resigned his office in disgust. For the decades since 1877 when Hubert Carlyon the incumbent of Kaiapoi was prosecuted for the same offences, high church clergy and laity were walking on egg-shells and at risk of being removed from office. In 1877 Carylon had lost his job and left the country; in 1919 the vicar of S Michael’s survived. The anti-Catholic spell was broken. Prejudices continued. In this period, some Evangelical leaders did affirm pluralism within the Anglican church – as being protestant and catholic, as able to evolve. Others grew more adamantly hostile to pluralism. There is much goodwill in CMS in the 1890s and 1900s towards the diocese of Melanesia, and no hint that only party Evangelicals would be sponsored for missionary work there. But a later historian of NZ CMS Kenneth Gregory anachronistically writes that only declared Evangelicals could be presented to CMS and sponsored. I do not know the reasons for this change of attitude nor why he would put his later polarised views on top of the contemporary evidence. During these decades and with the rest of the Anglican church, the diocese of Melanesia was steadily evolving in an AngloCatholic direction. In 1912 the middling-high Cecil Wilson (son-in-law of Bishop Julius of Christchurch, that cryptopapist of Dickson’s polemic) was replaced by the party AngloCatholic Cecil Wood. In 1918 Wood was pushed out of office, considered a ‘terrible failure’. An English missionary John Manwaring Steward, a more boisterous AngloCatholic, with the support of most of the diocese was chosen fifth bishop in 1919. Yet diaries of the time make clear that throughout the following decades, Evangelicals were still among the clergy and laity leaders in the diocese of Melanesia. Crawshaw certainly had changed his attitudes. Back in New Zealand he became an organising secretary for CMS, where he associated with the Revd Frank Sampson, another extreme Evangelical. They objected to the NZ CMS being in any way associated with the New Zealand Anglican Board of Missions. The intention in forming this body was that cooperation in an umbrella ‘board of missions’ would assist the ministry of all the many smaller missionary societies. The polarised Evangelicals were insistent that CMS must stay out of this or any other Anglican church structure. Only by that isolation could they ensure that no money went to missions which were not truly Evangelical. With Crawshaw’s support, Sampson brought a court case against the CMS for its lack of parti pris – and was sacked. Under the leadership of the Revd Owen Kimberley an Evangelical but a pluralist, NZ CMS did cooperate with the new Board of Missions. This must have been a very bitter time for the exclusivists. A few years later Crawshaw resigned his Anglican orders and became a Baptist. Sampson also disappeared from Anglican ministry - I have not found what he did next. In his old age the NZ CMS historian Kenneth Gregory himself, always a standard bearer for the exclusivist attitude, became a minister of the Reformed Church of England, a Protestant breakaway group. In 1919 the agreement of the bishop of Melanesia with NZ CMS ended. Bishop Steward took responsibility and public courtesies were maintained. Yet the generous financial and personal support from 1895 until 1919 does deserve to be remembered and honoured. Could the generous non-partisan support of NZ CMS be offered today to provinces of the Anglican church which are not party Evangelical?